Happy Friday, y’all!! We’ve had an awesome 4 day week thanks to Memorial Day. Daniel was in the Philippines last week and we’re still playing catch up on family time. Needless to say, we are looking forward to a lazy weekend with Daddy! I hope y’all have had a great week, too!! If you follow me on Instagram, you probably know we are expecting baby #3 in the new year. So this southern boho style is my jam lately!! 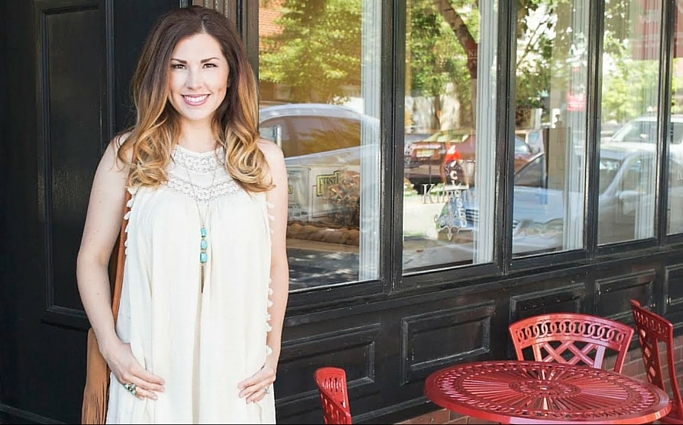 I’m naturally drawn to neutral colors and anything hippie-ish or with fringe! This dress from Gray Monroe is definitely a favorite of mine right now and it’s flattering as my belly grows in the early stages. Luckily this pregnancy is during the same months that I carried Harper, so I’ve got pieces to get me through the winter months. I love wearing dresses while I’m pregnant. Especially in the summer and there are so many dresses that aren’t maternity that you can wear with a bump. This dress is such an easy summer look to throw together for anything. I’m obsessed with the little tassels and the embroidery on this dress!! It’s an easy one to accessorize and you can’t ever go wrong with camel and turquoise! Those are usually my go-to pieces! 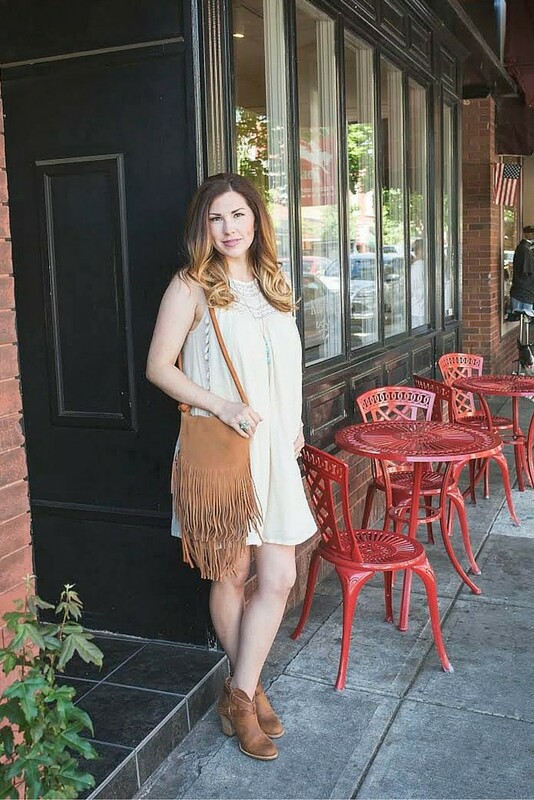 I threw on this fringe bag and booties from Francesca’s. The whole look is perfect for date night, lunch with the girls, or pretty much anything. Ankle booties like these are a staple in my closet because they’re perfect for anything without killing your feet. Plus, they’re adorable and stylish! What are your summer staples and pieces you like to incorporate year round? Thanks, mama!! Isn’t it awesome?! They still have a few in stock!